Russia's Olympic doping operation exposed by the New York Times. 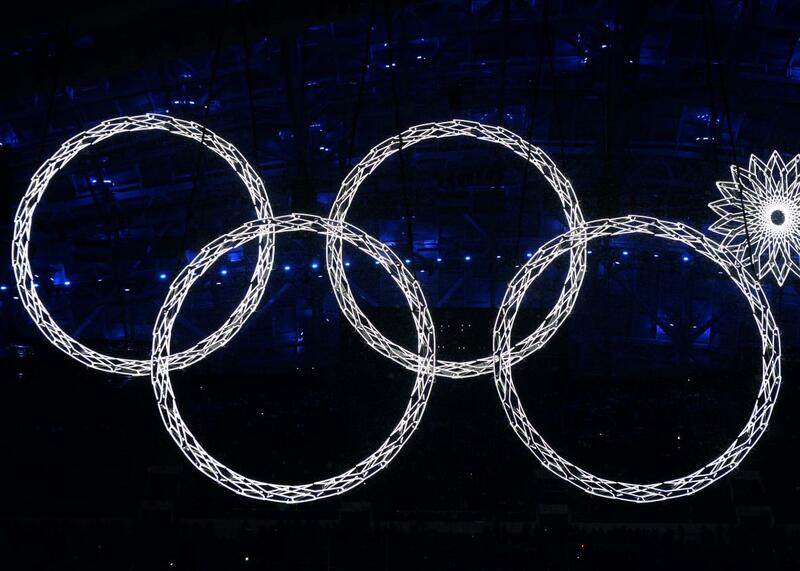 The Opening Ceremony of the Sochi Winter Olympics. Late last year, the World Anti-Doping Agency released a report alleging that Russia had developed a comprehensive program to dope its Olympic athletes, and bribed international officials to cover it up. On Thursday, the New York Times’ Rebecca R. Ruiz and Michael Schwirtz revealed new details about how that doping program worked. The Times story could be the script of a spy thriller, if that thriller were focused entirely on pee. To speed up absorption of the steroids and shorten the detection window, he dissolved the drugs in alcohol—Chivas whiskey for men, Martini vermouth for women. Though doped-up Russian athletes didn’t evade detection—more Russians tested positive for banned substances in 2014 than athletes of any other nationality—that wasn’t for lack of trying. After receiving a signal that “the urines were ready,” Rodchenkov changed from his lab coat into a Russian national team sweatshirt and left his fourth-floor office, typically after midnight. He checked that the coast was clear and made his way to Room 124, officially a storage space that he and his team had converted into a shadow laboratory. The Times reports that the “urines” were taken to another building, where the bottles were unsealed in an operation overseen by “the man Dr. Rodchenkov believed was a Russian intelligence officer.” The athletes’ excretions were then replaced with clean urine that had been collected before they’d begun their doping regimens. This was a time-consuming, labor-intensive process. “Typically, the small team worked till dawn, breaking only occasionally for instant coffee and cigarettes,” Ruiz and Schwirtz write. Rodchenkov says he was compelled to resign his position in the immediate aftermath of last year’s WADA report on the country’s doping scheme. The former anti-doping chief, who fled to Los Angeles and is collaborating on a documentary with an American filmmaker, tells the Times that he feared for his safety after his forced resignation.